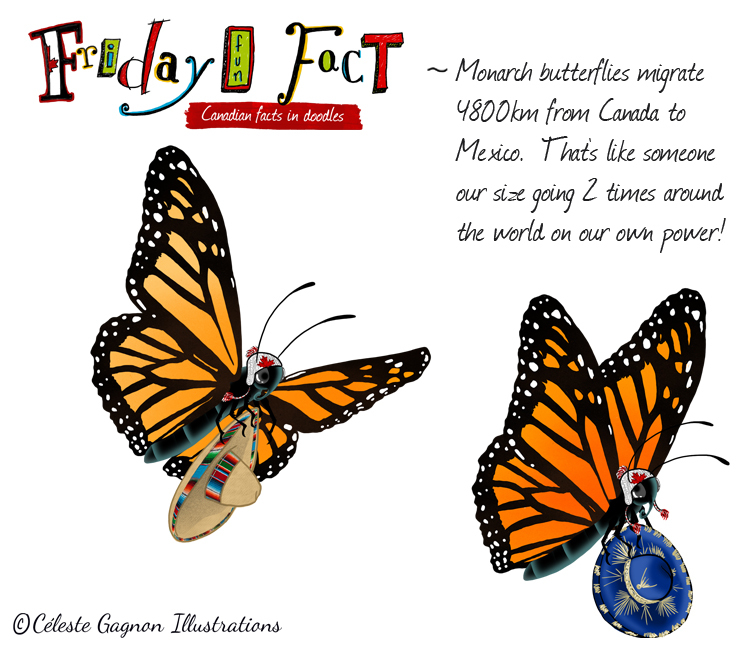 Monarch butterflies migrate 4800km from Canada to Mexico. That’s like someone our size going 2 times around the world on our own power! Amazing! To visit other Fun Friday Facts click here! Great fact, and I’m loving the toques and sombreros! Thanks Laurie 😉 they have to be prepared!